The following is a guest-post by Rhodri C. Williams, a human rights consultant and commentator who recently began working on rule of law issues in Libya with the International Legal Assistance Consortium. Rhodri also writes at his fantastic TerraNullius blog. In this post, Rhodri examines the uneasy relationship between international criminal law and post-conflict reconciliation. 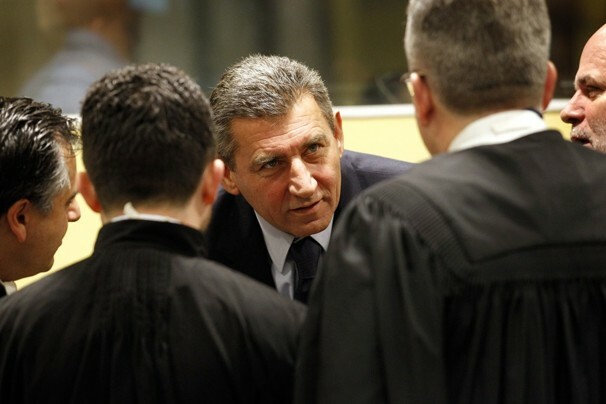 In April 2011, Trial Chamber I of the International Criminal Tribunal for the former Yugoslavia (ICTY) convicted two Croatian Generals, Ante Gotovina and Mladen Markač to lengthy jail terms for their role in planning and carrying out ‘Operation Storm’, a 1995 offensive that resulted in the flight of up to 250,000 Croatian Serbs from their homes in the Krajina region of Croatia. At the time, the conviction hardly came as a shock given that the Storm campaign was widely seen as one of the most large-scale episodes of ethnic cleansing among the many that the 1990s wars in the former Yugoslavia had to offer. But last Friday, in what has been described as “one of the most comprehensive reversals of the tribunal’s 19-year history”, the Appeals Chamber eviscerated the Trial Chamber’s findings and ordered the immediate release of both defendants. The summary read out in court reflected the Appeals Chamber’s acceptance of both the defense’s key arguments: first that the shelling of four Serb-held towns at the outset of the offensive had not been unlawful, and second, that absent unlawful shelling, the Trial Chamber’s finding of a ‘joint criminal enterprise’ (JCE) to permanently remove the Serb population of the region could not stand in regard to the defendants. As I’ve described at TerraNullius, at the time of the Trial Chamber decision, the finding of the existence of a JCE by the Trial Chamber tied the defendants to a range of discriminatory actions and policies that accompanied the offensive. Perhaps most notably in relation to the current situation of Krajina Serbs, thousands of whom remain displaced, such acts included both the destruction of private property and the ex lege cancellation of Croatian Serb refugees’ rights to ‘socially owned’ apartments they had often occupied for generations. …the Appeals Chamber, Judge Agius and Judge Pocar dissenting, considers that the Trial Chamber’s findings on the JCE’s core common purpose of forcibly removing Serb civilians from the Krajina rested primarily on the existence of unlawful artillery attacks against civilians and civilian objects in the Four Towns. While the Trial Chamber also considered evidence concerning the planning and aftermath of the artillery attacks to support its finding that a JCE existed, it explicitly considered this evidence in light of its conclusion that the attacks on the Four Towns were unlawful. Furthermore, the Trial Chamber did not find that either of the Appellants was directly implicated in Croatia’s adoption of discriminatory policies. When the dust settles, the legal issues may turn out to be deceptively straightforward. It is certainly credible that the Trial Chamber went too far with its JCE finding and that the Appeals Chamber was right to tighten the focus to what criminal acts could be directly and unambiguously attributed to the defendants. On the other hand, this decision is demonstrative of the legal certainty-defying manner in which international law expands. After all, the same Appeals Chamber that last week swatted away an expansive JCE theory previously presided over an unprecedented – and not uncontroversial – expansion of the genocide definition in the 2004 Krstic judgment (involving the Srebrenica massacre in Bosnia; see the case-sheet here and a synthesis of the criticism here). Meanwhile, the political issues arising from the decision will be considerable and less easily dispatched. Most notably, the judgment itself, as well as the official Croatian reaction to it is likely to further complicate the tenuous and protracted process of rebuilding the fabric of trust torn by the succession of conflicts that led to the dissolution of the former Yugoslavia. Already, AP reports that Belgrade plans to downgrade cooperation with the ICTY and has canceled a conference planned for this week on the Tribunal’s legacy. As my former Bosnia colleague Marcus Cox pointed out in a thoughtful comment to my earlier post on the Gotovina judgment, the Appeals Chamber decision should be read restrictively. The concern of the Appeals Chamber was that the directly impugned acts of the defendants were not illegal and could not be tied to the JCE as a result, but not, crucially, that the JCE did not exist. At a broad level, the Gotovina case may hold the same lessons on the limitations of international criminal law that the European Court of Human Rights’ recent Cyprus property decisions have demonstrated with regard to human rights law. Litigation inevitably and necessarily disappoints by applying a zero-sum approach to complex historical problems in which all parties have almost always been cast both in the role of victims and victimizers. 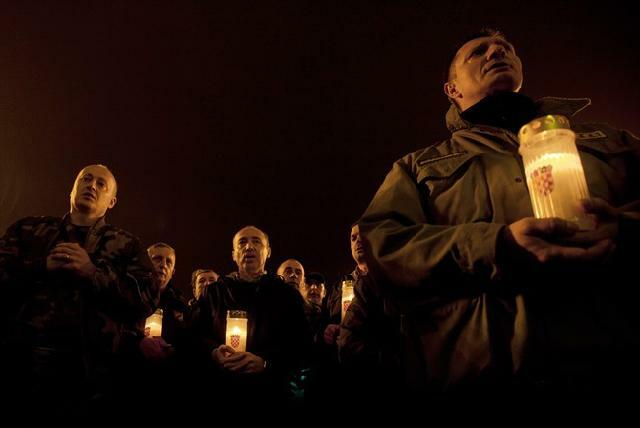 To treat the Gotovina judgment as an absolution of Croatia’s well-documented sins is patently absurd and will only complicate the way to a long overdue regional reckoning with the past. Ultimately, Croatia can only legitimise its own narrative of victimhood by recognising the validity of those of its victims. This entry was posted in Balkans, Croatia, ICTY, Serbia and tagged Gotovina, Joint Criminal Enterprise, Markac. Bookmark the permalink.